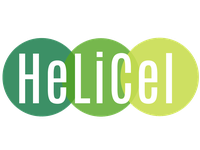 Keeping operators and managers at the forefront of knwoledge regarding wood pulp manufacturing and valorization is one of the main mission of HeLiCel. A two-day course covering the major pulp manufacturing processes: Kraft, acid sulphite, TMP and CTMP. Combination of basic principles in chemistry and technology will allow for overall understanding of pulp manufacturing operations at industrial scale. A two-day course providing full understanding of the principle of bleaching making possible to discuss the merits and drawbacks of industrial bleaching lines and to design optimum sequences depending on the mill constraints. A two-day course giving a comprehensive overview of wood-based biorefinery (potential, state of the art, development and perspectives). A two-day course giving a comprehensive overview of chemical production involved in pulp manufacturing. Modern technologies for chemical production coming from external suppliers and onsite technology are described and explained in details to provide all the elements necessary to perform opex & capex analysis. A two-day course providing capability to understand concept and design of treatment plant, giving project leader’s state of art information.